Did you get to go? Are you going to be one of the lucky Littleloves that goes to see the last performance today? 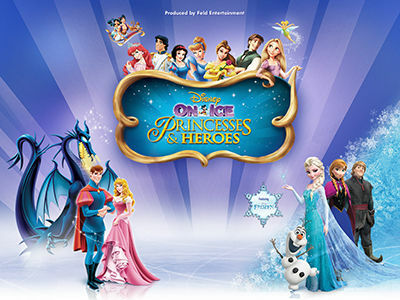 This incredible show is called Princesses & Heroes by Disney On Ice and has been talked about over and over by not only Mylittleloves and their friends but all the Mammy’s and Daddy’s who “have never really grown up”. Mylittleloves adore all Disney movies however they where thrilled to see their favourites gracefully gliding past! Aoibhie’s favourite movie is “The Princess and the Frog” whilst Cadhla-Rose is obsessed with all things… “Tangled” (bet you thought I was going to write Frozen). Incredible singers, dancers and skaters. An all round amazing performance. My only complaint would be the over priced snacks and treats on offer for Mylittleloves. A frozen bag of popcorn was 60dirhams which just seemed a little ridiculous. Tickets are still on sale from 150-2000dirhams and you can get them from Virgin Megastore in the MOE or Dubai Mall. The Show started on Wednesday the 10th of June and ends TODAY!